If you are a Chihuahua fur parent, have you ever considered the fact that one day, your fur baby will be gone and it will come a time to finally say goodbye? Have you ever wondered how long do chihuahuas live, ideally? In this article, you will be reading through important details about your Chihuahua and be surprised with actual figures of how long you could actually enjoy the company of your pet. Chihuahua dogs are popularly known for its petite size, jolly personality and different colors and types. These Chihuahuas are friendly but their strength and build gives them the capability to compete in dog sports, specifically when it comes to agility and obedience. Also, Chihuahuas are one of the Top 10 watch dogs which experts recommend. This breed of dog is loyal and loves nothing apart from spending quality time with his human. Bonus is, you wouldn’t stress much over its grooming and exercise because Chihuahuas are pretty much easy to maintain. It is a universal fact known to many dog lovers that s﻿maller dog﻿ breed﻿s tend to live longer than those larger ones. Just like any other dog breeds, Chihuahuas’ lifespan differ from one to the other depending on several important factors that affect their overall health and personality. Some factors can be controlled and others can’t be. As a Chihuahua parent, you should familiarize yourself with these factors so that you could enjoy your pet longer than you can imagine. No method is ever accurate in predicting the exact lifespan of a Chihuahua but current studies show that Chihuahuas live an average of 15 to 20 years when they’re properly cared for. This does not necessarily mean that all Chihuahuas live such figures, but that is a good number to follow. Below are factors that affect your Chihuahuas lifespan. Do know that there are several other ways to care for your pet but those in this list will surely be of great help in ensuring that your Chihuahuas are healthy and active. The primary most important factor to consider in your Chihuahua’s lifespan is their food. Pet owners should give their four-legged friends a balance of premium, nutritious dog food with no additives and artificial preserves. Never ever give them human food, as these can lead to various diseases that definitely would shorten the lifespan of your fur baby. Apart from food, you should also look after your Chihuahua’s weight. Overweight or obese Chihuahuas can easily contract diseases and lowers their average lifespan. These diseases are, but not limited to heart problems, cancers and diabetes. However, underweight Chihuahua’s also may experience lower average years of living because they lack proper nutrition and a very weak immune defense. Chihuahuas that are spayed and neutered live longer years than those that are not. Male Chihuahua’s neutered before age 1 decreases risks of testicular and prostate cancer while female Chihuahuas neutered and spayed before their first heat cycle reduces risks of uterine and ovarian cancers. Health care, in all species are important. Make sure that your Chihuahuas are vaccinated against deadly diseases and have them checked up regularly by an expert veterinarian. These simple things will not only promote longer lifespans but also keeps them healthy. Exercising your pet daily also does a lot of amazing tricks. 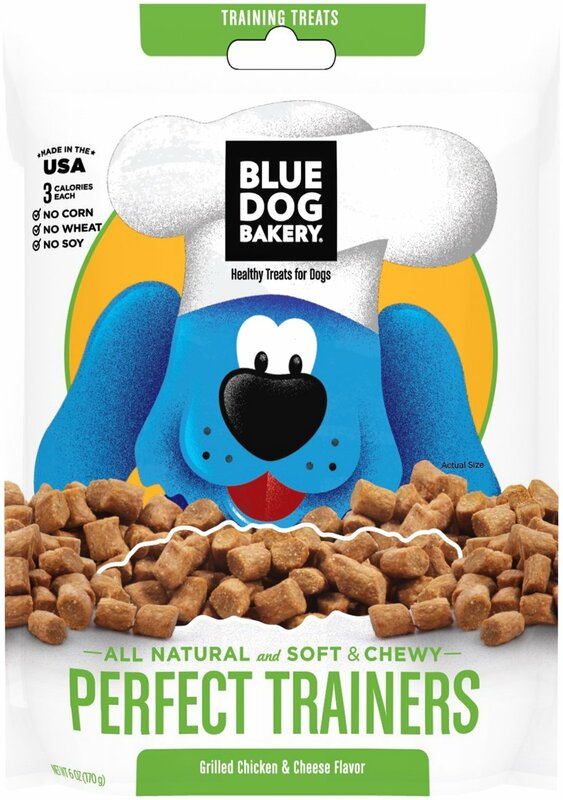 You could also give your Chihuahua’s delicious dog treats like Blue Dog Bakery Perfect Trainers All Natural Dog Treats to help them keep their teeth healthy and strong. Always keep in mind that your Chihuahua’s lifespan depends heavily on how you treat it. Always, always be good to your pet. Chihuahuas get along well with almost any other pets, even if it is a cat. Your Chihuahua may also tend to boss around but just let it be. In an average lifespan of 15 to 20 years, you will already be enjoying a long journey with your pet and you should always consider looking after its health, the food it takes, give them treats like Blue Dog Bakery Perfect Trainers All Natural Dog Treats once in awhile, take them out for a walk or simply let them play around the house. You are your pet’s master, and surely, your Chihuahua’s loyalty is incomparable to anything else in the world. The least you can do to give back is to make sure that they will enjoy their life in the fullest, grandest possible way they could. Do you have any other tips and tricks you’d like to share with us about Chihuahuas and how to prolong their life? Are there any other dog treats you’d pretty much recommend for other fur babies to enjoy? We would love to hear from you! Let us know your story in the comment section below.